I love Chinese soup. I love it not only for its nourishing and edible medicinal properties but also because its home comforts elements. I’m a new wife and I am learning to cook more Chinese dishes, specifically learning to make more Chinese soups. To me, Chinese soup symbolizes “home”. I want make a variety of Chinese soup (not just green radish and carrot soup that my mom only knows how to make). 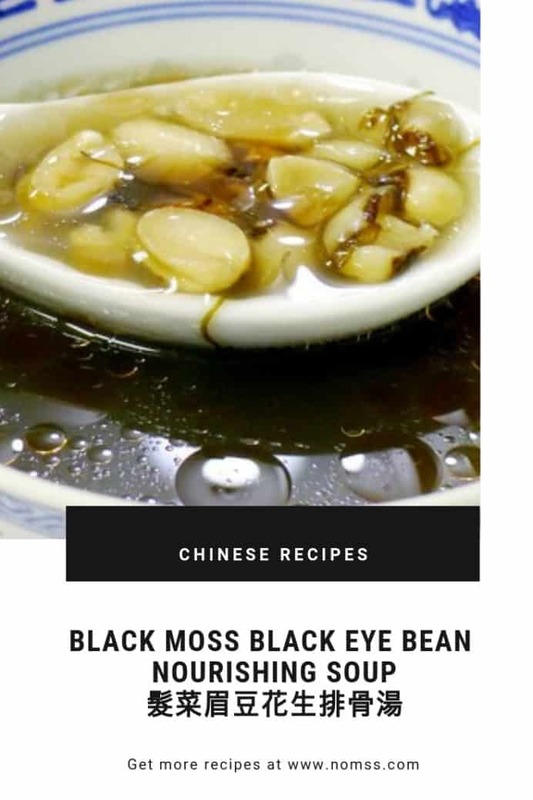 Black Moss Black Eye Bean Soup with peanuts and pork bones 髮菜眉豆花生排骨湯. With Winter here, our bodies crave more nourishment, moisture and hydration. 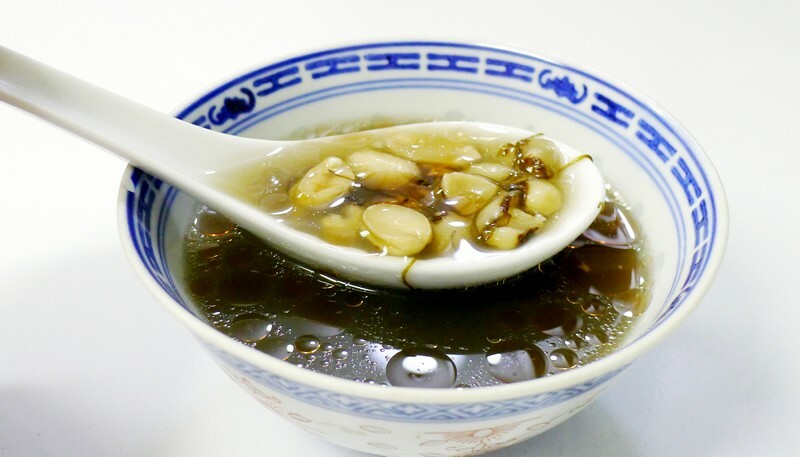 Black Moss Fat Choy Black Eye Beans Peanuts with Pork Bone Soup 髮菜眉豆花生排骨湯 is rich in protein, potassium and iron. It is hearty and earthy. Often you will notice a red oil film forming on top of the soup. This is normal and no need to be alarmed. The soup color is dark when made with pork bone and a milk white color if you choose to use chicken feet. Both pork bone or chicken feet can be substituted interchangeably. Typically I would have pork bone or ribs handy in the freezer. For chicken feet, I prefer to buy fresh from the butcher (instead to defrost). 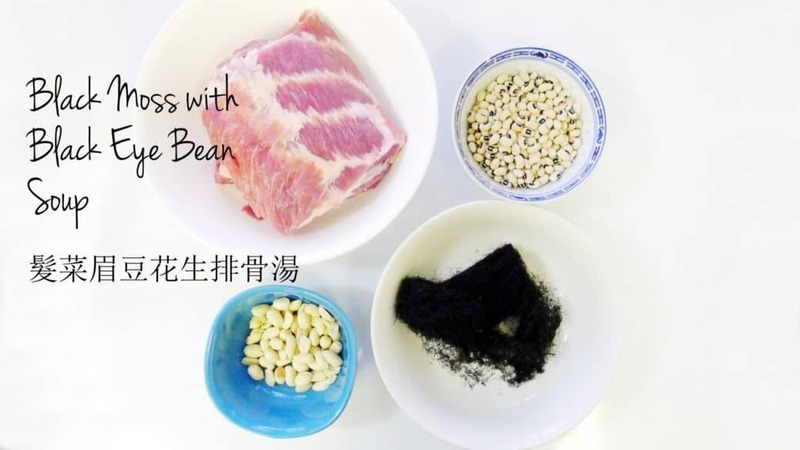 Black Moss Fat Choy Black Eye Beans Peanuts with Pork Bone Soup 髮菜眉豆花生排骨湯 is rich in protein, potassium and iron. It is hearty and earthy. Nourishing soup for the winter season.